Subang Jaya, 4th March 2008: Covering the elections rallies is not exactly a walk in the park. Relentless rain, muddy grounds, huge crowds and unearthly hours. But this pales in comparison to the punishing schedule of some of the candidates. 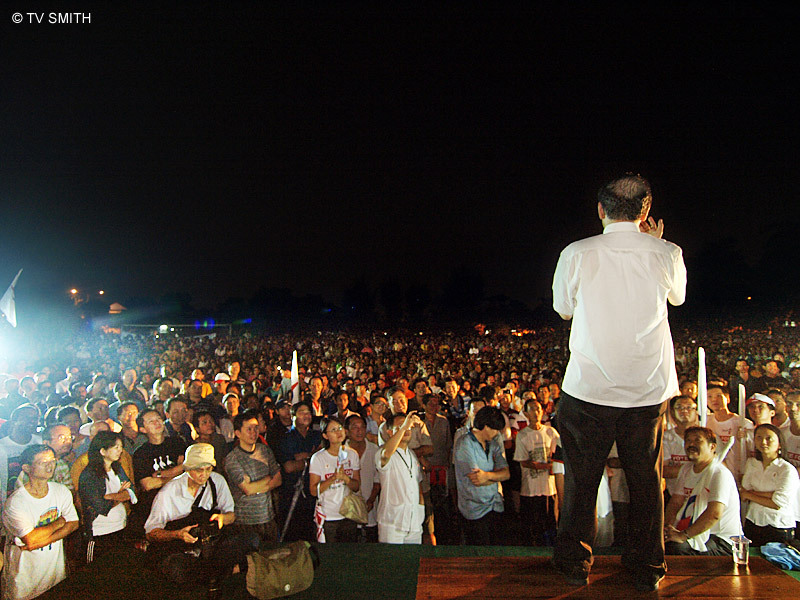 At 12:23 am, Lim Kit Siang addresses a rapturous crowd with a very hoarse voice. He was at USJ to lend support to Hannah Yeoh (extreme right).